Opened in 2005 by O'neil Cinemas as the Lisbon Landing Cinema. It was sold to Digiplex Destinations on October 2, 2012 and renamed to the Digiplex Lisbon 12. Purchased by Carmike Cinemas in 2014, but the name remained the same. 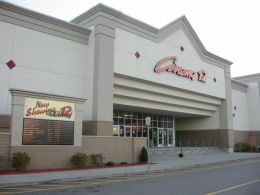 It became the AMC Lisbon 12 in February 2017 after AMC acquired Carmike Cinemas. This movie theater is near Jewett City, Lisbon, Griswold, Norwich, Versailles, Taftville, Preston, Baltic, Glasgo, Voluntown, Hanover.